It’s the perfect season at the moment for winter veg like squash, swede and parsnip. One of my favourite ways to have these tasty veg is curried in a salad or, once roasted, whizzed up into a chunky soup with yoghurt and bread. 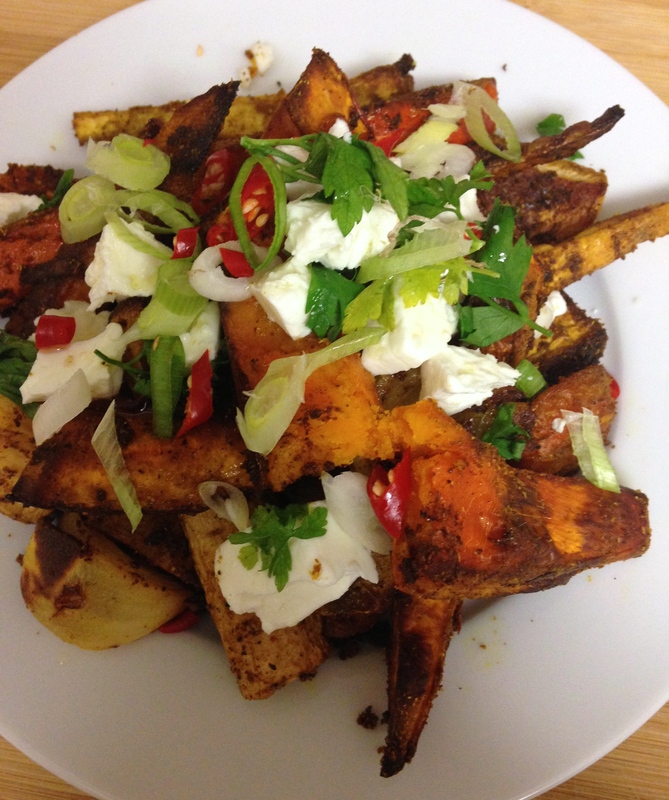 The robust curry flavours work so well against mild flavoured root veg, lightened up with a little feta, fresh chillis and spring onions. 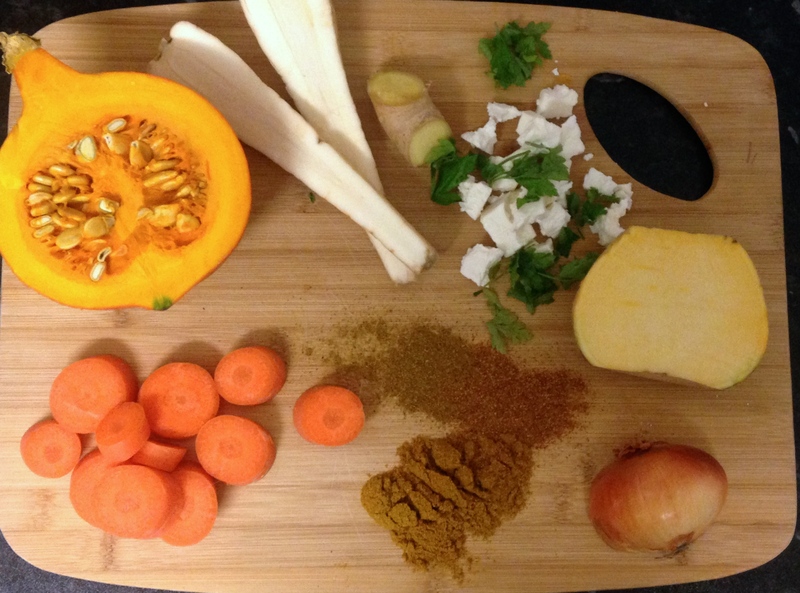 This really does make a delicious winter salad or perfect side dish for a lentil dahl. Preheat the oven to 180 degrees. Chop all the veg into 1-2cm chunks, apart from the squash, leaving the skin on. 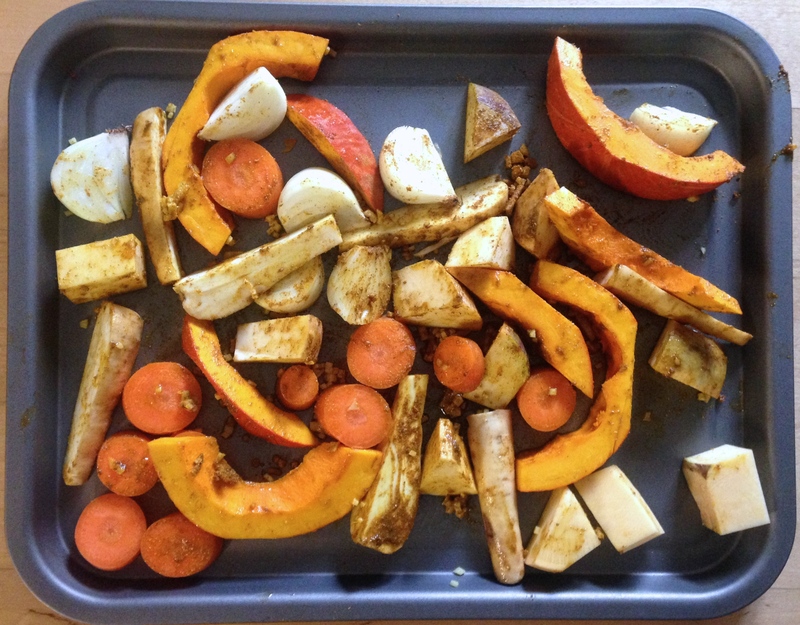 I find this gives the veg a more nutty, tasty flavour when roasted. Sprinkle over the spices and season with salt and pepper. Rub into the veg with plenty of olive oil and place in the oven on a tray. Once the veg has been in the oven for 15 minutes, scoop out the seeds from the squash and cut into semi circular slices, then mix with the rest of the veg from the oven and return for a further 15 minutes. Once the squash is cooked, empty the veg into a bowl and crumble over some feta cheese, letting it melt slightly. Snip over some coriander, chilli and a spring onion to add that delicious freshness to the dish. You could even squeeze over some lemon or lime juice for extra zest.